Cultural shifts are a massive part of any Third Culture Kid’s life. Whenever we pass from one culture to another, our adaptability forces us to change a little bit of who we are. Sometimes we do this consciously, but in the early days of our TCK development, much of what we absorb is achieved naturally. We acquire elements of a new culture simply by being around it, and it’s the natural feeling of indoctrination that masks the change in our internal culture, hiding the cultural shift from our conscious memory. However, as we travel more, we quickly notice that many elements of previous cultures we have adapted to are no longer relevant in our active cultural environment. Some of the largest of these fluxes in my development came from transitioning to a life in Asia, then back to a life in the Americas, all while carrying my United Kingdom passport and English heritage. The cultural shift, especially in returning to America from Asia, was by far the most difficult transition I have ever made, and I am not sure that I ever fully achieved a state of symbiosis similar to any of my previous travels. The question I want to address today focuses on this very idea of, after we have undergone multiple cultural shifts in our identity, how do we adapt to a large and semi-permanent transition? One point I have constantly made when talking to Third Culture Kids who are still in the process of their youthful moving phase is that one day this hopping from place to place will begin to slow down. Granted, there are some people out there that have the resources at their disposal to keep doing it forever, but for most of us TCKs, a day will come when the trips to the airport become fewer and fewer with larger and larger gaps between each trip. It’s a natural progression, but it’s one that causes a great deal of difficulty for almost every TCK I have had the pleasure of meeting. Suddenly, everything you have known your life to be changes, leading us to the question: How do we, as TCKs, adapt to that phase in our life where things begin to slow down after a lifetime of cultural shifts? I wish I could say this was going to be easy for you. Unfortunately, most TCKs struggle endlessly with this time in their lives. 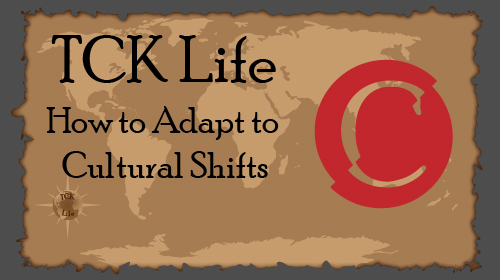 But, unlike most TCKs, you’ve found Third Culture Kid Life and undoubtedly other TCK sites that are helping you to prepare for the transitions, shifts, and personal developments that are on your horizon. That on its own gives you a leg up on most of us who were TCKs before the internet had given us a place to find help and understanding. You are part of a day and age that allows for constant communication with people who are oceans away, and that on its own is something life-changing. Even with the internet, though, you’re going to experience what I can only describe as a minor existential crisis. Be prepared for that. It’s pretty much inevitable, and the majority of TCKs seem to go through it. When things finally slow down, you’re going to wake up one day and think hopelessly to yourself “Oh no, I’m going to be stuck here forever aren’t I!” You’ll think that a lot actually, and if you think about it on the grand scheme of humanity, you’re certainly part of the minority thinking that. Most people wake up thinking “Oh no, what if I have to move and leave my family and friends? !” We’re the complete opposite side of that equation, and there are a whole lot fewer of us out there. I digress. When your brain flashes with that fear that you’re never going to move again, don’t worry. That’s a completely normal thought, and maybe if you understand why you’re having it, you’ll be better equipped to understand and combat it. The worst thing you can do is let it get the better of you, to feel depressed and uninspired because of it. Your love for the world, your desire to chase cultures, your incredible ability to adapt to any climate are all absolutely incredible assets in a world built upon globalization. Your biggest obstacle in this whole experience is a lack of understanding in what’s happening to you. That’s where the depression kicks in, and you’ll feel trapped and lost and surrounded by people that simply don’t understand. But understanding is the key to getting through it, so let me get that out right now: You are only feeling this way because for the first time you are surrounded by people and cultures that are not changing. Many of you have experienced a Third Culture Kid upbringing in international schools. This means you’ve had a constant stream of different cultures. In college, that constantly changing environment has been severely hindered. You are isolated in a pocket that feels odd to you, because unlike most of these people that feel out of place because they are in a different school outside of their hometown for the first time, you’re in a different school outside of your hometown without extreme cultural stimulation for the first time. This could also apply to post-graduation if you happen to fall into the category of people who continued their cultural exploits through university, and find yourself in a job that mimics this same cultural lock. Find articles written by TCKs online. Blogs are a great source of information, from expats to TCKs, you’ll get a lot out of those. Comment! Almost every blog or digital article has a comment field. My experience is that TCK authors get just as much pleasure out of engaging their TCK audience as they do in writing. I know I do. That’s why I attend speaking events and Google Hangout with international schools. Engage your favourite authors. That’s why we write. It’s all for you. Join social groups. Facebook has plenty of little communities. Some are invite only, but don’t be afraid to request an invite. 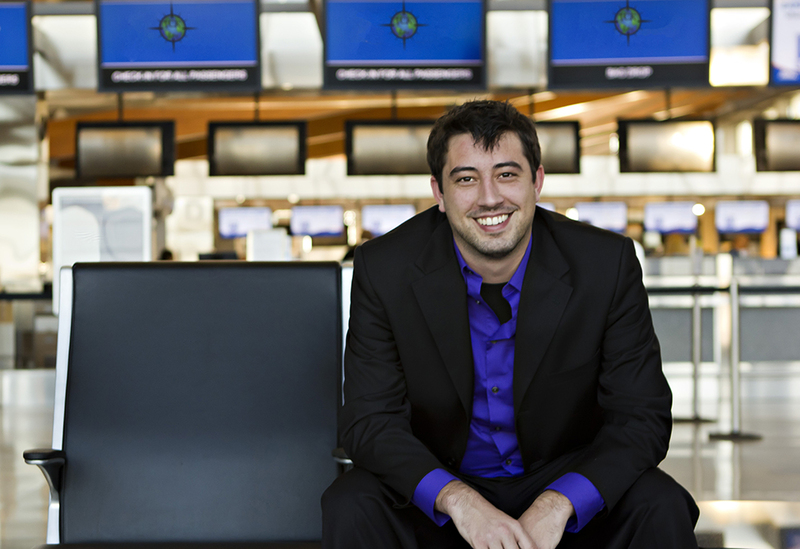 All the groups I’m part of are wonderful, especially You Know You’re a Third Culture Kid When… The page creator, Mike Sullivan, is a wonderful and passionate TCK advocate, and all the people there are equally as friendly and engaging. Join networks on LinkedIn that include TCKs. There are also websites that cater specifically to TCKs like TCKid. Email your old friends. They know you well, even if you haven’t spoken to them in a long time. This is the 21st century, and we are all TCKs. We know what happens when you move. But that distance doesn’t have to be permanent. Tell others about your travels. Don’t worry if people think you’re bragging. You’re not. This is your life! You didn’t choose it, just like the rest of us didn’t choose it. And sharing your experiences is one of the greatest parts of being a TCK. So share. Share share share. Share anywhere with anyone you want. You’ll never know what cultures you’ll find unless you look. In the end, no matter what you’re going through, there are always people out there who can help. As always, you can comment here and chat with me anytime, or you can find other TCKs like me who just want to help anywhere online. Our Third Culture lifestyle is built upon a foundation of awkward separation, but that doesn’t mean you are ever alone. Just reach out and ask. We’re here to help, however we can. This entry was posted in Traveling TCK and tagged Culture, expat, expatriate, how to, International Travel, moving, TCK, TCKs, Third Culture Kid, Third Culture Kids, World Culture, World Travel on October 7, 2013 by James R. Mitchener.